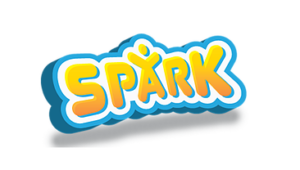 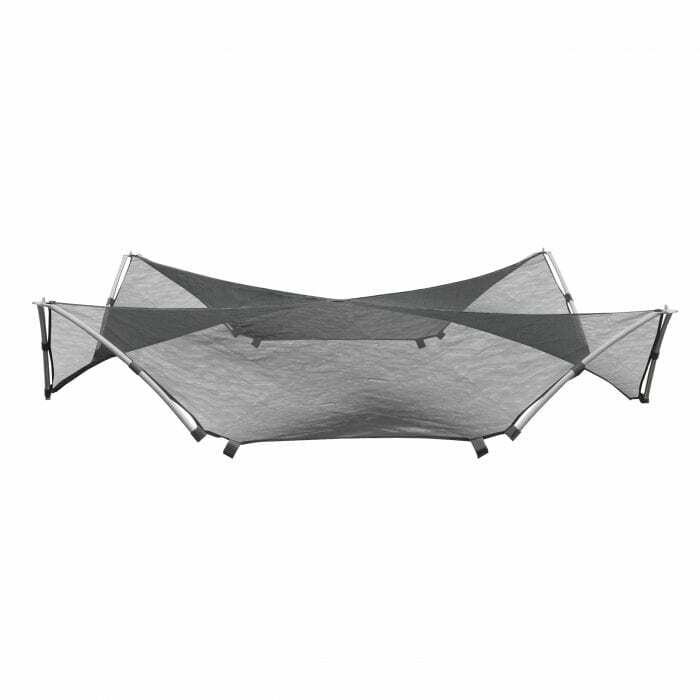 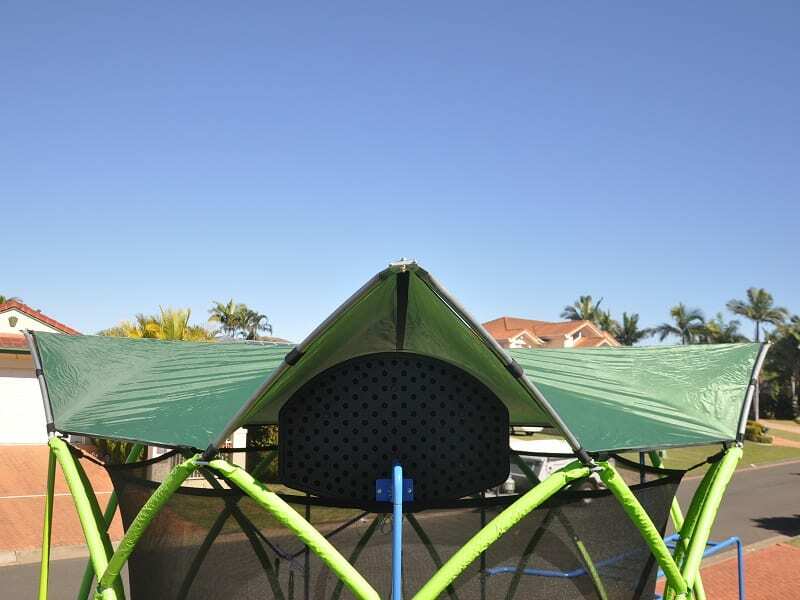 The roof provides excellent shade for your Spark trampoline, and protects your kids again UV rays. 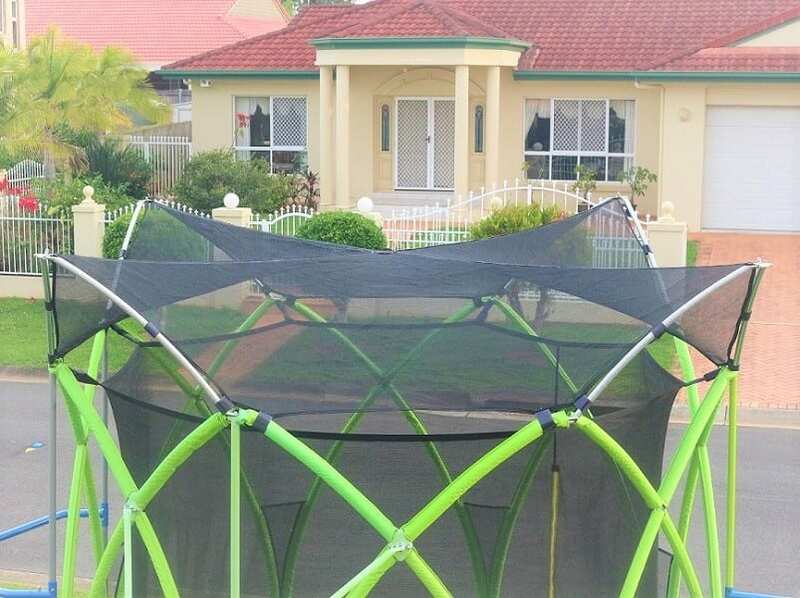 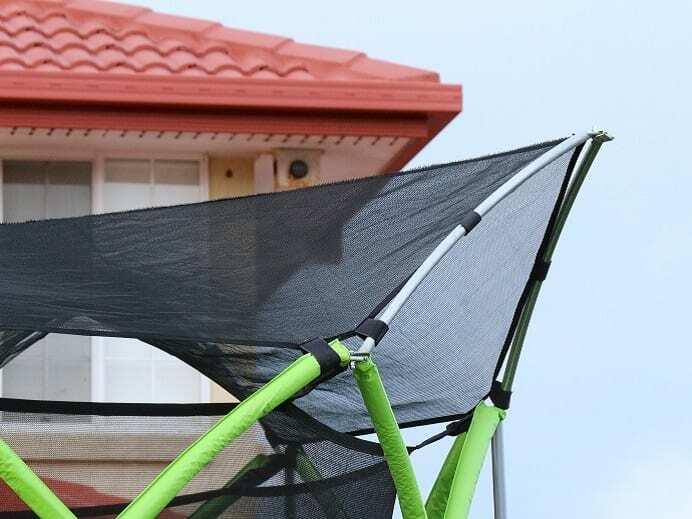 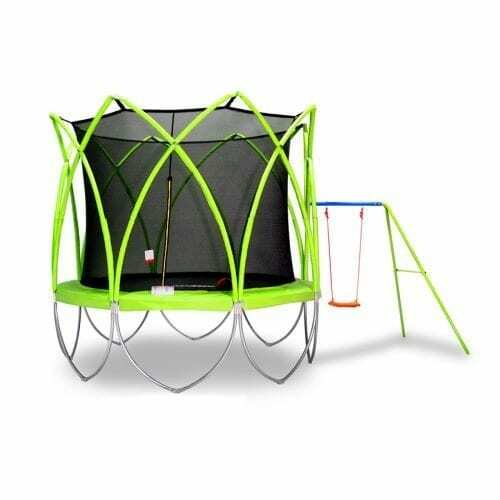 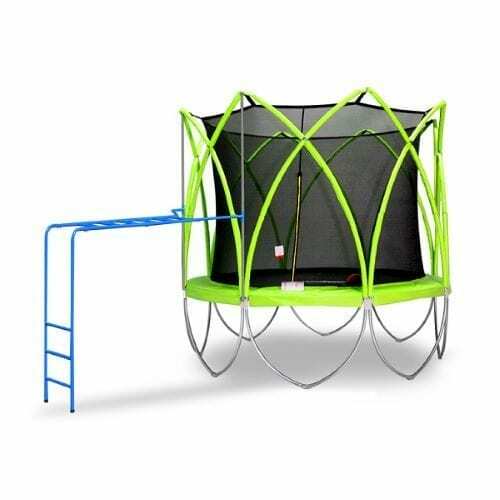 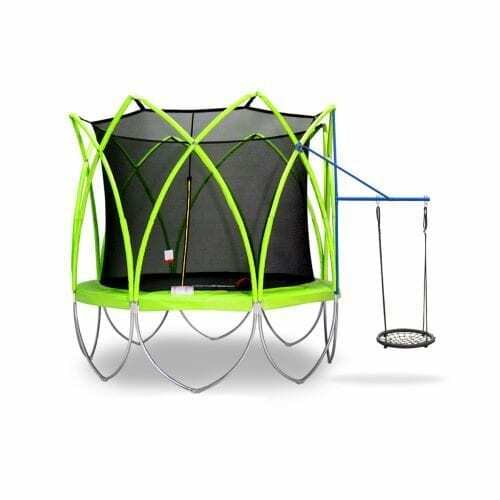 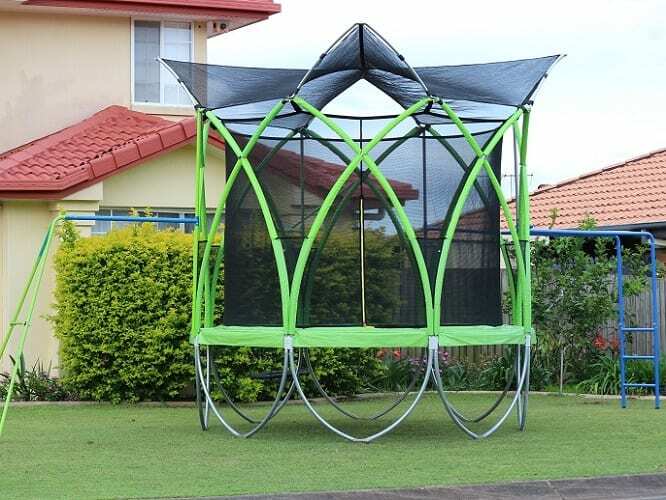 The innovative design lets kids keep playing with basketball hoop even with the roof on your Spark trampoline. 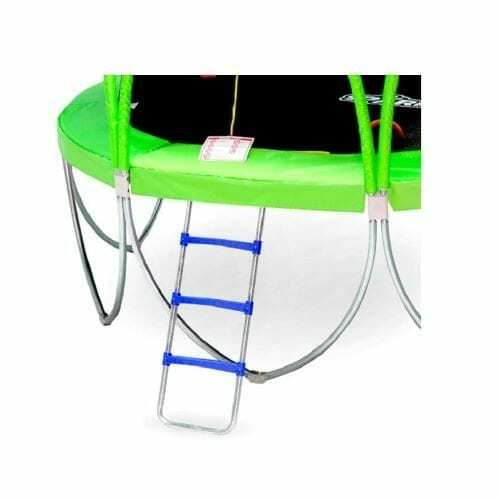 Since no fibreglass rods or other hard tubes are hanging over jump mat, your kids are safe to jump and play. 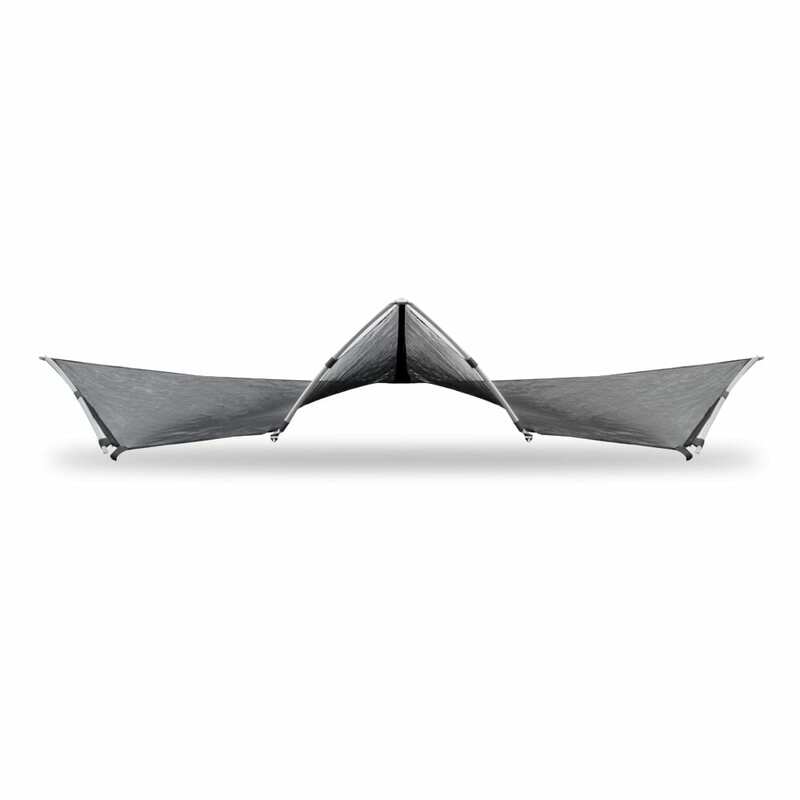 The unique design keeps fresh air flow through Spark roof freely.